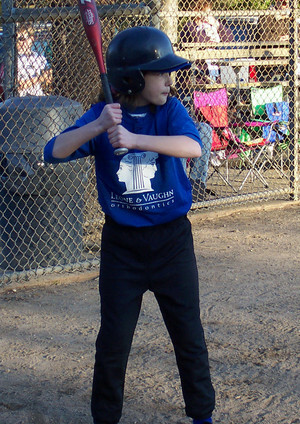 Leif's daughter Maya is in her second season playing softball on Molly Sweeney's Sluggers team, sponsored by orthodontist Leone & Vaughn. 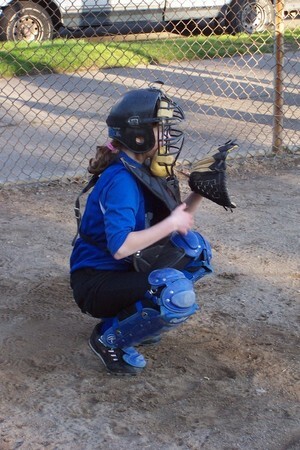 Maya and her Queen Anne Little League teammates have learned a lot this season about baseball, teamwork, sportsmanship, and life; but they hadn't exactly dominated the competition. Until the playoffs, that is. The Sluggers elevated their game in the post-season, playing tough ball and avoiding mistakes. Coupled with some good pitching, agressive baserunning, and inspirational coaching, the team found a way to win each of their first three playoff games and advance to the championship game. In a busy week of playoff games, the Sluggers dispatched three excellent teams, all of whom had beaten them in the regular season. They opened by besting the Rhodies of Magnolia Garden Center. Then they faced Mini Max Storage/Rene Stern, Queen Anne's other AAA team, surviving with a slim one run victory. 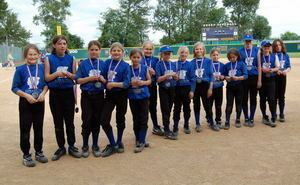 On a cold, rainy Saturday, the Sluggers outplayed the Falcons of Northeast Seattle, earning their championship berth. On Tuesday, June 12th, Leone and Vaughn played the Purple People Eaters of Northeast Seattle at the UW softball stadium in a winner-take-all final. The Sluggers played an outstanding game, but were bested by the Purple team's excellent pitching. Even though the scoreboard showed the other team won, this proud dad knows Maya and her team are WINNERS! Thank you, Maya, Molly, and the rest of the team, for an exhilarating season. Congratulations, Sluggers! Read the article in the Queen Anne News! And view the pictures that the Queen Anne News printed here. Make sure and click on "photo gallery".